Mary C. Young, 91, of East Stroudsburg, PA and Boynton Beach, FL; formerly of Morristown, NJ, passed away peacefully on March 31, 2019 at home. She was the loving wife of the late William R. Young who passed away in 2000. They shared 44 years of marriage. Born on September 27, 1927, in Morristown, NJ, she was the daughter of the late James and Mary (Huss) Clark. Mary was a graduate of Bayley High School in Morristown, NJ and Berkeley Secretarial School. She worked for the Mennen Company, Morristown High School and prior to her retirement was the secretary for the Morristown Board of Education. She was a member of the St. Matthew’s Church in East Stroudsburg, the Friendship Club of the Church and the Stroud Community Club. Mary was a devoted wife, mother and grandmother who cherished spending time with her family and friends. Mary will lovingly be remembered by her daughters, Kathy Rutkoski and husband, Pat, of East Stroudsburg, Karen Young of East Stroudsburg, Mary Love and husband, Duane, of Newtown, PA; grandson, Matthew Rutkoski of Chandler, AZ, 4 step grandchildren, 9 step great grandchildren, nieces and nephews. She was preceded in death by her brothers, James Clark and Joseph Clark. A Mass of Christian Burial will be celebrated Monday, April 8, 2019 at St. Matthew’s Church, 78 Ridgeway Street, East Stroudsburg; with a gathering at 9:00 am followed by Mass at 10:00 am. Mary’s cremains will be placed next to her husband William in Arlington Cemetery, Washington, DC at a later date. The Joseph J. Pula Funeral Home, Inc. 23 N 9th Street, Stroudsburg, PA 18360 is assisting the family with arrangments. In lieu of flowers, memorial contributions may be made to Compassionate Care Hospice, 237 East Brown Street, East Stroudsburg, PA 18301. The family would like to thank all of their caring family, friends, neighbors, hospice aids and nurses who were so supportive throughout Mary’s illness. Their kindness will long be remembered. To send flowers in memory of Mary C. Young, please visit our Heartfelt Sympathies Store. Cara Curtis sent flowers to the family of Mary C. Young. Karen and Family- Please accept my heartfelt sympathy at this difficult time. You are in my prayers. 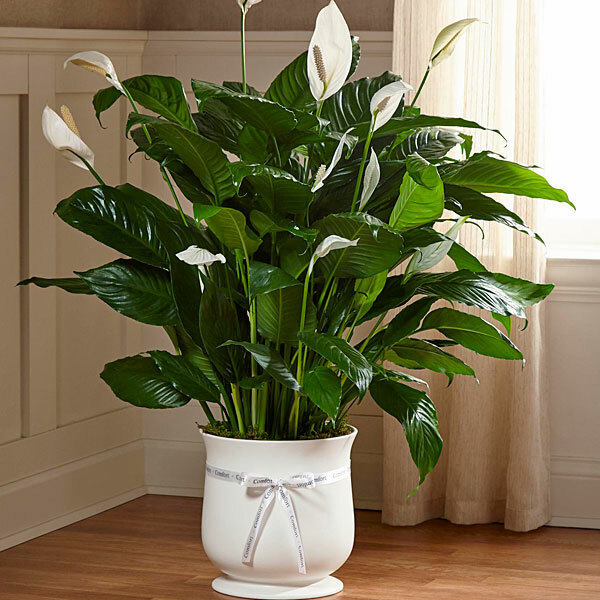 Cara Curtis purchased the The FTD Comfort Planter for the family of Mary Young.